Occidental’s men and women’s Ultimate Frisbee teams took Las Vegas by storm, playing in the annual Trouble in Vegas tournament March 23–24. The men’s team, Detox, went 5–2 and the women’s team, Women’s Air Core (WAC), went 5–1. The tournament was round-robin style, consisting of a mix of USA Ultimate (USAU) Division III and Division I teams. Teams traveled from all over the country to participate in the tournament. WAC placed third out of 15 teams. 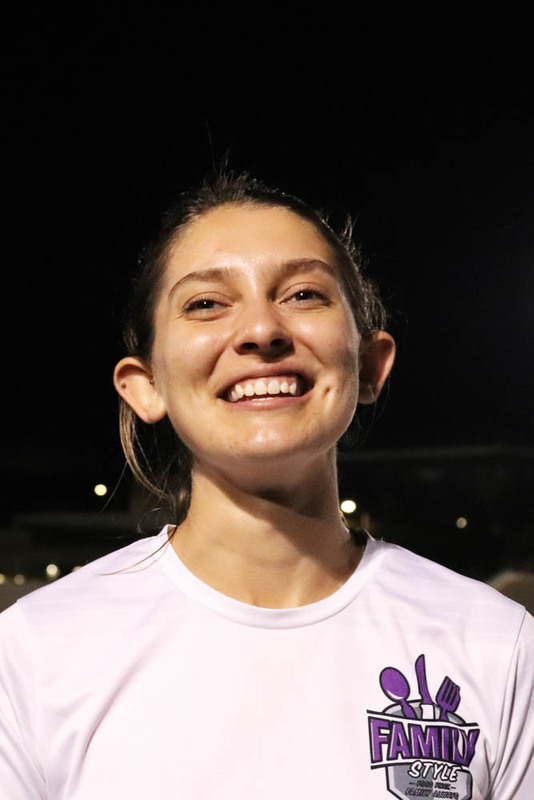 The team’s one loss came against San Diego State, a USA Ultimate Division I school that ended up taking first in the tournament. According to WAC’s captains, the Trouble in Vegas win shows the major transformation the team has gone through during the past three years. Gust said WAC was not anticipating the ease of their wins against teams to whom they had once lost. “We surprised ourselves a little bit during the tournament. A lot of our games felt easy. We just went out there and did it, and there was so much chemistry. It was so much fun,” Gust said. Detox’s head coach Nate Warden said the tournament had its ups and downs. Detox went 1–2 on the first day of the tournament, knocking them out of the round robin for the winner’s bracket. Detox went undefeated on the second day. Warden believes this tournament reflects the tough season Detox has had. Warden points to California’s rainy winter as a struggle for Detox. Despite the hard season, Detox captain Paul Tomlinson (senior) echoed Warden’s sentiments, describing a tournament that began with frustration. According to Tomlinson, there was a gradual realization that the first round of teams Detox played was difficult and the tournament ended on a high note. 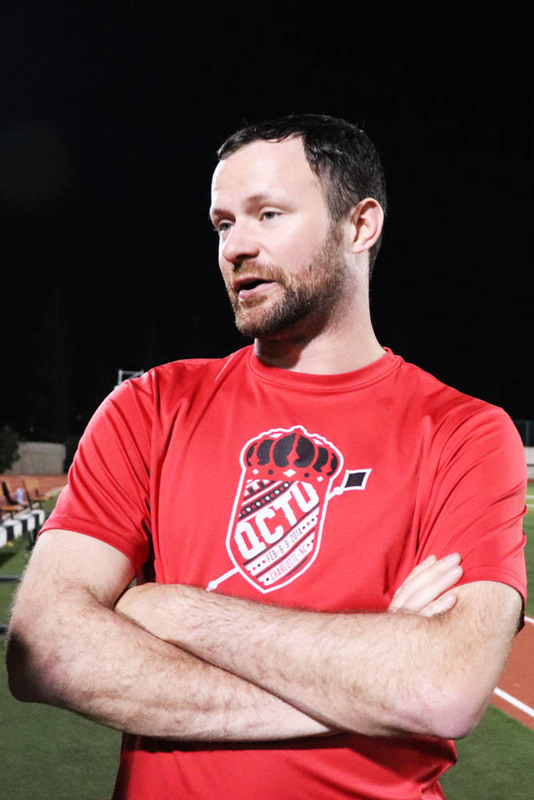 According to Warden, despite Detox’s achievements, the men’s team should not be Occidental’s main focus this year given the success of WAC. After the Las Vegas tournament, both teams have their eyes on nationals. The men’s team plays at conference championships for a spot at nationals April 13–14 against members of the Southwest Division III: Claremont-Mudd-Scripps, Biola and CalTech. According to Warden, Detox’s intense preparation for the conference championships will begin next week. While the team will work on physically preparing, Warden says more emphasis will be placed on mentality. Detox does not assume it will receive a bid for nationals for a third year in a row, according to Tomlinson. In the women’s Southwest Division, there are only two teams, Occidental and Claremont-Mudd-Scripps. In order for WAC to make nationals, they have to rank higher than Claremont-Mudd-Scripps. According to Buhaly, WAC is 138th in the country and Claremont-Mudd-Scripps is 172nd. “We won’t know for sure until next Friday, April 5th when rankings come out — the big reveal,” Gust said. In USAU’s preliminary end-of-season rankings, WAC seeded higher than Claremont, all but guaranteeing them a spot at the national tournament.